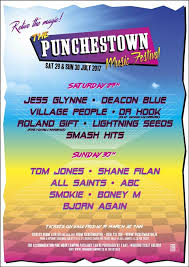 With a stellar line up of stars from every walk of music life, cast across several generations, this year’s Punchestown Music Festival looks set to prove an even more popular draw than its 2016 predecessor. Running over 29th and 30th July, the two day festival will feature in its line up stars from the ‘60s through to today including Tom Jones, Deacon Blue, All Saints, Lightning Seeds and Jess Glynne. HRH Tom Jones is a legend in his own musical lifetime. Purveyor of swoon-inducing hits such as ‘Delilah‘ and the Prince cover ‘Kiss’, the Welsh vocal powerhouse is also one of the stars of UK TV hit show ‘The Voice’. Jones has sat in the judging hot-seat since the show’s 2012 inception, except for the 2016 series when he took time out after the death of his beloved wife Melinda. 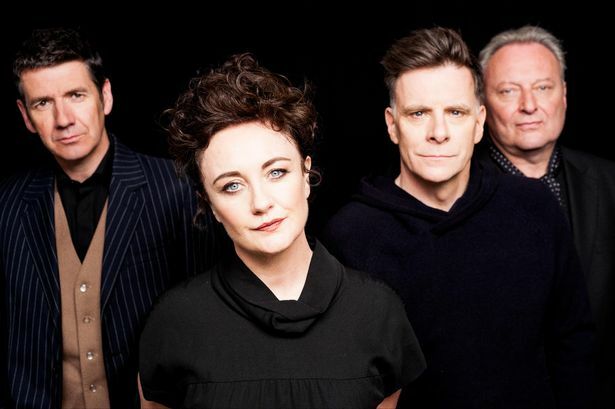 Scots clan, Deacon Blue, were best of indie breed back in the mid-80s, spinning hit after Caledonian hit with songs like ‘Real Gone Kid’, ‘Wages Day’ and ‘Your Town’. Recently reforming as a four-piece for a much welcomed comeback tour, the pop-rock band have gone on to perform at the Commonwealth Games closing ceremony, with 2016 seeing the release of a new album entitled ‘Believers’. For those willing to take a walk on the wild, whacky or vintage sides, there’s a multitude from which to choose. Boney ‘Daddy Cool’ M (don’t tell your mother), Smokie of (WTFis) ‘Alice’ fame, ‘a little bit more’ with Dr Hook, and for anyone of a certain age who was swinging around venues like Dublin’s Olympia in the early ‘90s, there’s super ABBA tribute group, Bjorn Again. Catering to the younger gen in the crowds will be R&B soul-pop performer Jess Glynne, who coincidentally turned down an offer to join Sir Tom on the Voice judging panel. The singer has a string of #1s to her name while her track Take Me Home, which you can stream below, was the official Children In Need charity single 2016. Lastly, for those with a predilection for making random hand signals whilst disco dancing dressed up as a traffic light, there’s the Village People, who may or may not have upgraded to a condo from their 1970’s base in NYC’s ‘YMCA’. Day tickets will cost €69.50 inclusive of booking fee, while Two Day tickets will set you back €129.00.